When it comes to Caribbean hotels, I am most definitely a private-island resort kinda woman! And who can blame me? Because if staying on a sand-fringed island is the Caribbean dream, then having one all to yourself is the ultimate fantasy, n’est-ce pas? And if it’s also an all-inclusive? Sign me up! 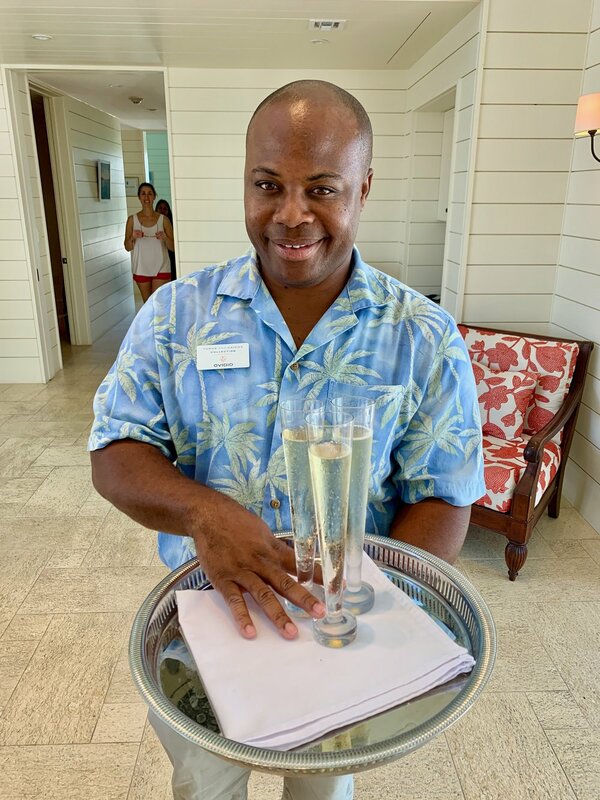 I’ve been lucky enough to stay at my share of Caribbean private-island resorts (Petit St. Vincent in the Grenadines and the Bahamas’ Fowl Cay are two of my favorites). And recently I touched down at a brand new one: Ambergris Cay. 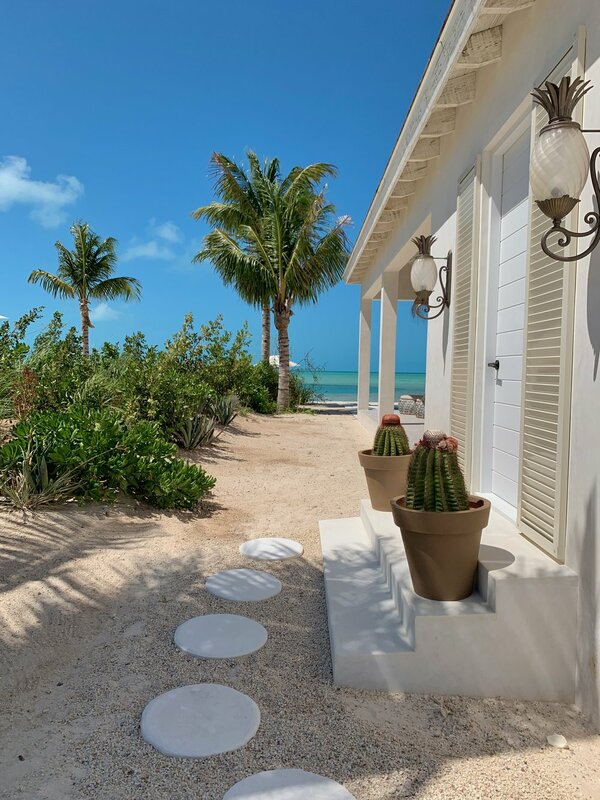 Not to be confused with (much larger) Ambergris Caye in Belize, the 1,100-acre oasis in the Turks and Caicos Islands opened in December 2018, offering 10 luxurious suites planted on powder-white sand. Ah, if only I could be greeted like this on arrival at EVERY airport! Each plush retreat is serviced around-the-clock by a butler; comes with a private pool and its own golf cart for tooling around; and every guest enjoys a 30-minute daily massage. 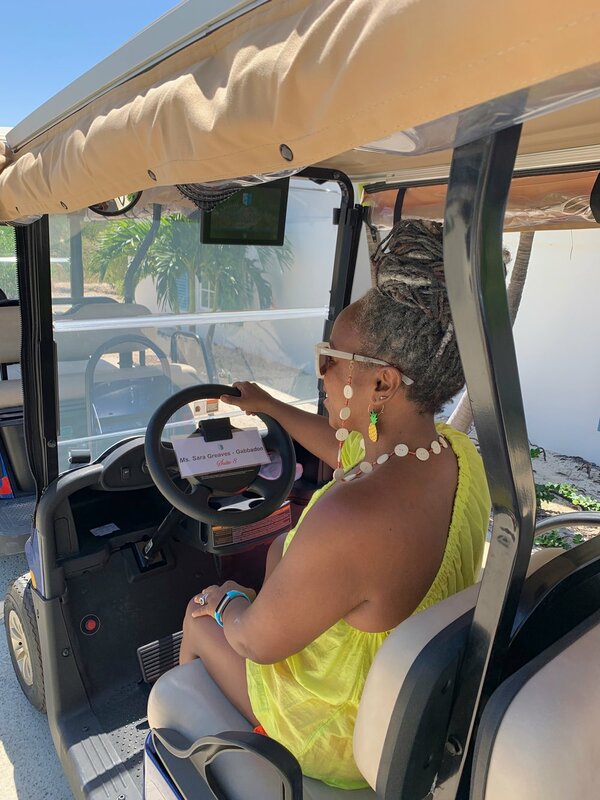 I’m ALL about that golf cart life! Is it weird that I obsessed over this petite doormat? At my doorstep: Turks Head cacti, for which the island country is named. What impressed me most, however, was that unlimited private excursions to surrounding cays are included in the rate. 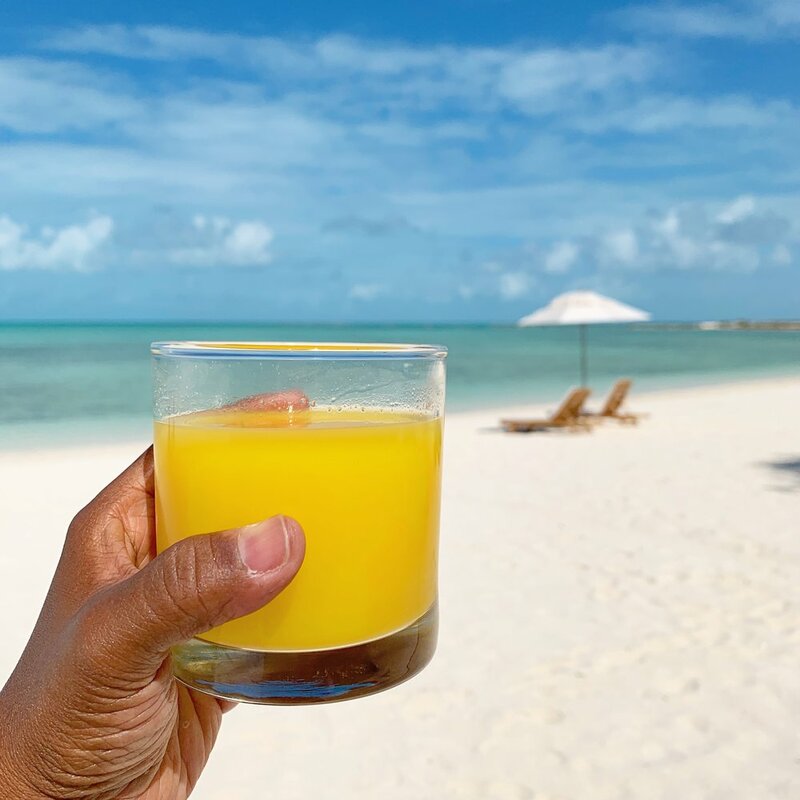 So you can explore neighboring Little Ambergris Cay and idyllic Instagram-worthy sandbars studded with live conch every day you’re there, if you wish. And in a destination with waters as clear and inviting as the Turks and Caicos Islands’, trust me, you should! It you were here, you’d be jumping for joy, too! 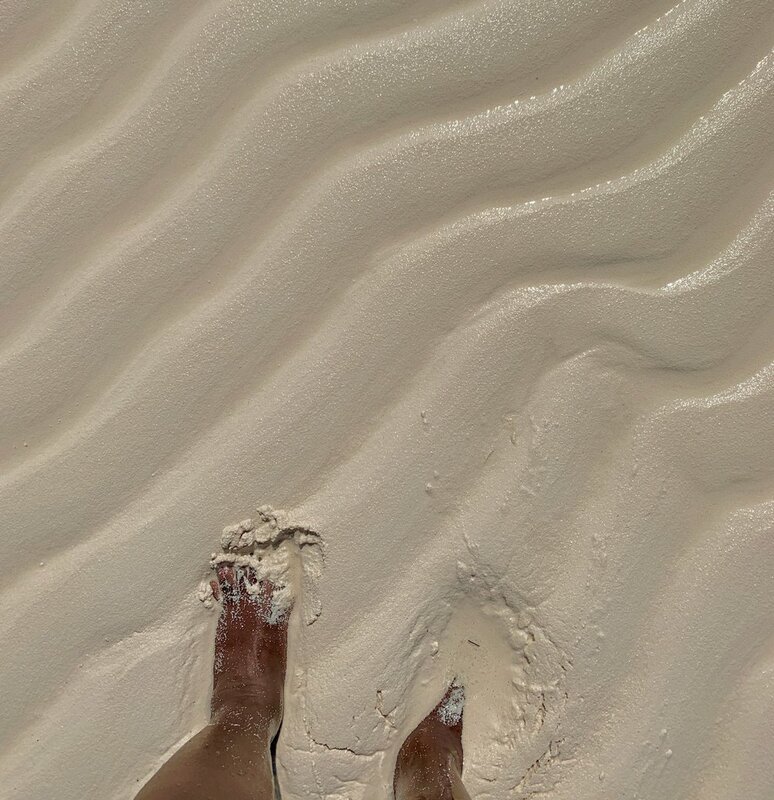 Can you believe this sand?! See for yourself in this video I made. And then read my review in the U.K.’s Telegraph newspaper ( COMING SOON!) for even more deets. Trying not to look smug as I sip a frosty Ambergris Cooler.